CyanogenMod's custom ROM relationship with the original Moto X has been somewhat... tentative. First the general GSM and Verizon developer editions were given separate nightly builds, then came a unified ROM based on Motorola's Qualcomm S4-based phones, the Moto X and DROID Maxx. (Technically the DROID Mini and DROID Ultra, too, but there's no way to unlock the bootloaders on those.) Now all of the Moto X builds are being unified under a new download entry, codenamed "Ghost." 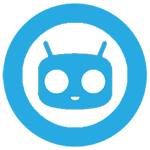 According to a CyanogenMod representative, the nightly ROMs under the "Ghost" codename should work with all of the available unlocked versions of the Moto X. That includes the International GSM model, the American T-Mobile/Developer Edition GSM model with US LTE bands, Verizon's bootloader unlocked Developer Edition, and the Sprint and US Cellular versions. It won't work on the standard AT&T, Verizon, or Republic Wireless models, since those phones have a bootloader that can't be unlocked by the end user. It looks like nightly builds for the previous Moto X entries on CyanogenMod's download page have been suspended on or before last night, so the Ghost page is now your one-stop shop for CyanogenMod on the Moto X. Keep in mind that Motorola's custom voice control and notification enhancements won't be available on CyanogenMod... which might be a good enough reason to stay stock, especially since the Moto X gets surprisingly fast Android updates.